A while back I wrote about encouraging cautious children to try risky play. But what about the opposite problem? What if you have kids who are more than willing to take risks but you’re the cautious one? First things first: you’re not alone. Many parents and caregivers are understandably nervous about letting their kids engage in risky play. And while we’re all familiar with the helicopter parent, what about those parents who find themselves in between hovering and free-range? The ones who would like to loosen up a bit, but aren’t sure where to start? That’s why I’m here – to encourage you by giving you some baby steps to risky play. Here’s the thing – kids are going to engage in risky play (often behind your back) if you ban it in your presence. By allowing them to dabble in risky play under controlled circumstances, you’re providing them with the valuable play experiences they need while minimizing the chance of injury. In turn, starting out small builds your confidence as a parent as well, empowering you to trust yourself and your kids to slowly try new experiences and ways to play. Risky play is developmentally appropriate, and when it is allowed in an environment that allows for controlled risk, you’re helping kids to grow and develop important life skills. That’s the key here – aiming for controlled risk. It’s the sweet spot in between no risk and an unchecked free-for-all. When talking about risky play, there are six main types of play that children naturally want to experience. By finding an activity that fits your comfort level, you allow your child to experience the risky play they crave without sacrificing your sanity or their safety. Here are the 6 main types of risky play paired with suggestions for introductory activities that will satisfy kids’ natural desire for risk. This includes climbing, jumping, balancing and hanging. Some kids can’t get enough, others need encouraging, but I’ve yet to meet a parent (myself included) that doesn’t cringe when their kids want to climb up and jump off something. Encourage kids to start small. For a toddler, this means giving him the chance to jump from the small ledge of a curb or step without telling him to “Be careful!” Small rocks are great to explore, climb and jump from. 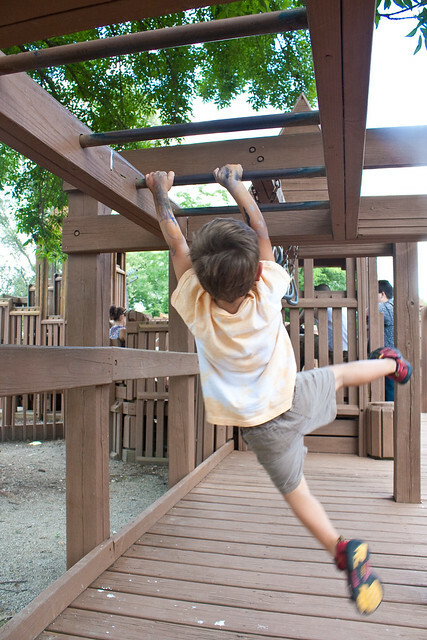 Try to find a playground with monkey bars (this is getting harder and harder to do). If the weather is bad or you’re having a hard time finding these elements in your local playspaces, try signing up for some climb time at an indoor climbing facility. My mind initially goes to race car speeds, but this isn’t the case at all! It just means kids crave the wind in their hair and the element of feeling slightly out of control. Encourage running, and find wide open spaces to run. 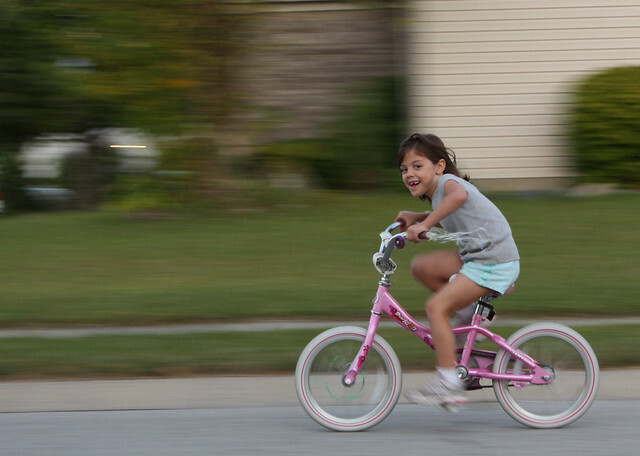 Have different types of ride-on toys available, such as bikes, scooters, and plasma cars. Let them swing as high as they can. Go sledding or ice skating in the winter. No need to break out the chain saw! Start small. Hammering nails is the perfect introductory activity that can be tailored to fit any age. 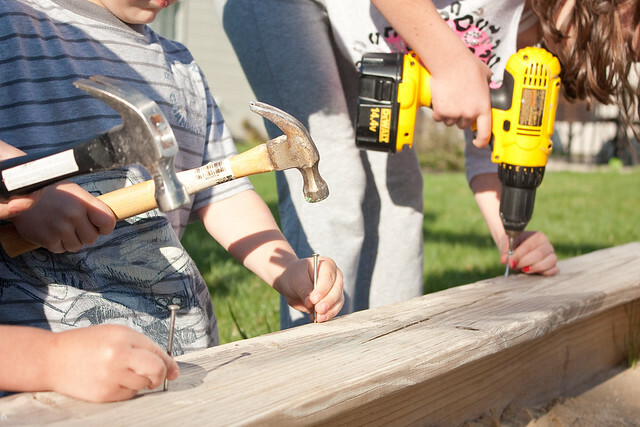 From simple toddler-approved tool sets up to real hammers and nails paired with scrap lumber for preschoolers and up, every kid enjoys the thrill of working with tools. Fall is a great time to practice hammering on pumpkins if you don’t have scrap wood available. This includes elevation changes, water, and fire. We’re headed into winter and this is the perfect time to introduce fire, as well as fire safety. We often have candles going in the house during these cool months. Let your older child learn how to strike a match and light a candle. Let the younger children blow the candle out. 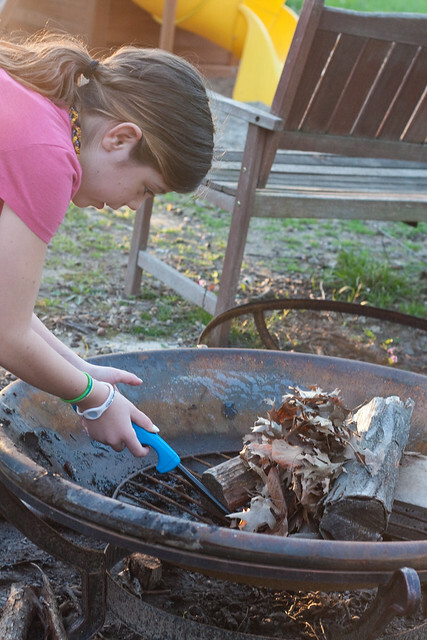 Let them observe and help as you light a fire in the fireplace or start a bonfire outdoors. It’s also a natural time to discuss fire safety, and to remind them to never start a fire without the presence of an adult or to put anything into a fire without adult supervision. Parents of boys know this one all too well. They seem to come hardwired ready to play rough. Don’t squash it, just encourage it within certain parameters. Let them roughhouse and wrestle on the floor with you. Encourage superhero play with costumes. Play fighting is a great way to work out real-life feelings. Avoid injuries by providing kids with pool noodles,foam swords or Nerf guns. I tell them where they can play (outside or in the basement) and they know the rules: no hitting faces or private parts. After fire, this is probably the one that incites the most anxiety. Keep in mind that for kids, disappearing is mostly an illusion. They don’t want to go far away, they just crave pockets of time away from your direct vision. Keep a tent sent up in a distant corner of the house or the playroom. 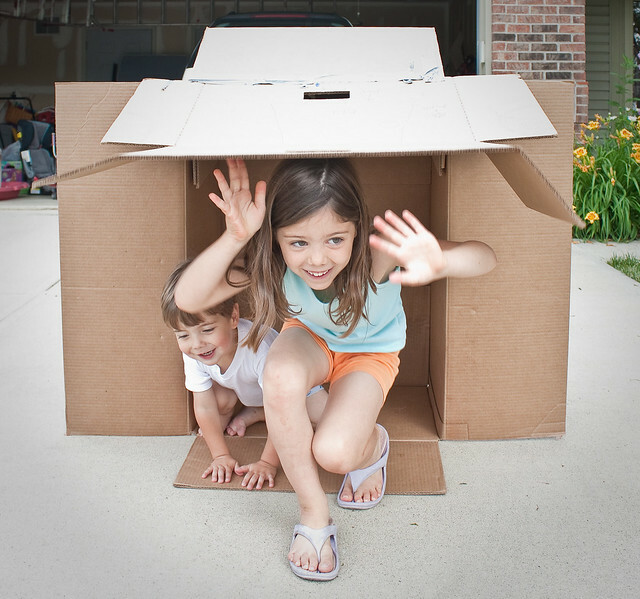 Provide materials and supplies for indoor fort-building. Outdoors consider building a playhouse. My kids love to visit a local wooden playground because it has all kinds of spots for hiding. If you’re feeling especially brave, allow your child to play outside by themselves in the front or back yard. Start small – even 5 or 10 minutes can make a child feel very big and responsible! The key to feeling more comfortable in any of these circumstances is to start small. Try something that is just a teeny bit outside your comfort zone and see how it goes. In time, you’ll make great strides in both your confidence and your child’s, and you can feel good knowing you’re providing experiences that will build wonderful lifelong skills, as well as happy childhood memories. If you have suggestions of further activities families can do to start out small in any of these play categories, please share! And if you have any questions, don’t hesitate to ask. We’re all here to learn and encourage each other in play! Wow! What a fantastic post. I find myself encouraging some of these types of play not really looking at the bigger picture. I have a book by Chris Johnson MD, chrisjohnsonmd.com called Keeping Your Kids Out of the Emergency Room, and there is a lot of tips he has that really rely on some common sense. I can see how many of these activities to lead to a visit there, maybe some thing I should pay more attention to! Loved this “eye opening” post!